And no, I’m not just talking about the price. I’m talking about price and the fundamental characteristics of an industry where the highs and lows follow that of a scattered graph, hoping to smooth out after time. I missed the boom of the Internet, but have now decided not to miss the bitcoin age. Fresh out of university with a consistent job to look forward to I had it figured out. Move back home, save some money, marry the girlfriend, and live comfortably. And that would have been that. 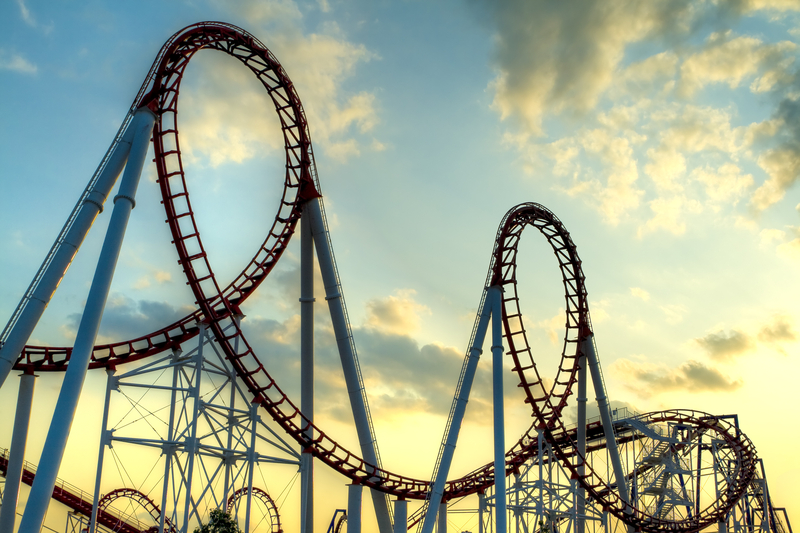 Except somewhere between moving home and saving money, I unknowingly entered the Bitcoin roller coaster ride, a ride I’ve come to realize I’ll be on for some time to come. Here’s how it happened. Like with anything new, it started off with a simple conversation. A simple conversation led to inquiry. Inquiry to research. And then to a mild version of obsession. And it’s been a thrill. As I was learning about bitcoin I found myself concurrently learning about other concepts in order to truly understand it. Concepts ranging from the workings of the financial system to basics in cryptography and computer science, and from business processes to the political governance. Bitcoin effects these and more and was the pinnacle reason why I was so curious to find out more. As the details unfolded, I came to realize that bitcoin provides an opportunity for the 2.5 billion unbanked citizens of the world to obtain a basic bank account. Its decentralized nature allows for trust in a trust-less environment for financial transactions that today, we outsource to expensive third parties, like Mastercard and Western Union. And it can improve work flow processes in nearly any industry or sector that has money as part of its operations. Bitcoin has advanced computer science to a position where new hardware and software are built every single day. Its sparking a movement that’s attracting some of the brightest minds in computer science and business. And there’s been exponential increases in amount of venture capital funding year over year that is helping to legitimize bitcoin. The pros go on, and I encourage you to find out more. Now onto some cons, which I also encourage you to find out more about. The reactions to the negative implications of bitcoin have come at all levels government, media, business, and individuals. Its volatility in its pricing delegitimizes its standing as a potential currency of the future. The collapse of the bitcoin exchange Mt. Gox proved the flaws if its viability to securely exist. The high-profile security breaches of bitcoin wallets has led many to believe that its simply easier using the working, current financial system. The cons go on. My point here is not to persuade you one way or another it’s to show you the potential implications one single concept can have; good or bad. And now being part of an operating business in the bitcoin space I can let you know my experience has mirrored that of the bitcoin industry. From feeling like I knew everything to now knowing I know nothing, I’ve discovered new interests that has sparked my ‘want to learn’. And bitcoin provides me with the tool to continually discover because of its inevitable evolution. Evolving to the point where all the above pros mentioned are now realized with new pros to look to, or to the point of nothing at all. Either way I’m learning. So back to master life plan, it turns out I did have it figured out. I just left out the part about bitcoin. No Replies to "The Bitcoin Roller Coaster Ride"